Almost every day I see a church ask this question: “Should we build a church app?” Maybe a church asks this question in a public forum. Or maybe they send me a DM or email directly. Mobile apps can be incredibly powerful platforms. But before your church begins building an app, I think it’s important to take a look at the actual data and statistics concerning mobile apps. Want to know whether or not your church should build an app? Let’s begin this conversation by talking about the price of mobile apps and what you as a church should expect. Simply stated, if you’re in the market for building a custom app, at the very least you should expect to spend $100,000. SIDE NOTE: Every conversation I’ve had with a developer confirms the research findings listed above. Custom apps are crazy expensive. If someone says they can build you a custom app for significantly less, be suspicious. Now, it goes without saying that most churches could never afford a six-figure custom app. So you might be wondering, how are churches creating apps at all then? Here’s the bottom line: If you see a church with an app, that app was almost certainly created using a pre-made template. Now don’t get me wrong here, I’m not saying templates are bad. Not at all! Not everything needs to be original and built from scratch. But when the word “custom app” is thrown around, it’s easy to assume that you’re getting an app built from scratch – but this just isn’t the case. Custom apps cost six-figures and beyond. Church apps are built using pre-made templates. In my experience, when a church decides they want a mobile app there is one primary factor driving this decision: their website isn’t doing its job. The average mobile app from a church app company costs between $75-$200/month. Look, I’m all for churches investing more money into their digital presence. In fact, I think it is absolutely necessary. But let me ask you this simple question: what can a templated app do that your church’s website cannot? For the longest time, mobile apps could perform functions that most websites couldn’t, but in recent years web coding languages have progressed and this is no longer the case. Below you’ll find a comparison list between a church app and a modern website builder. Both platforms cost similar amounts. Both are template based. My church app is built mobile-first! So is the website. My church app allows my congregation to take message notes during the sermon! So does the website. My church app allows my congregation to register for events and ministries! So does the website. My church app integrates directly with my church management system! So does the website. My church app has giving built directly into it! So does the website. My church app dynamically displays video, audio, and blog content! So does the website. My church app allows me to send push notifications! Read fact #8 below. When a church website does its job, it can do everything a mobile app can do – and more. Knowing this, why would your church pay for two different platforms that are both doing the exact same thing? It just isn’t prudent. Quick Tip: Convincing your church to download an app is hard. Even then, 80% of downloaders fail to become active users (Source: Quettra). To this point, we’ve talked about the pricing of mobile apps and we’ve compared the differences between mobile apps and websites. But what about usage? Sure, a website may be able to perform the same functions of a mobile, but mobile apps are the future! Right? Well, this is where we need to look at the data we have available to make an informed decision. Remember: Don’t blindly follow trends. Make informed decisions. As reported by comScore5, 50% of digital media consumption takes place within smartphone apps. And on its own, this singular data point can be very convincing. But like all singular data points, an isolated statistic lacking context can be misleading. While apps are widely used across all demographics, 9 out of every 10 minutes of app usage on smartphones is spent on a user’s top 5 apps. Beyond that, 50% of all app time on smartphones takes place in an individual’s single most used app. 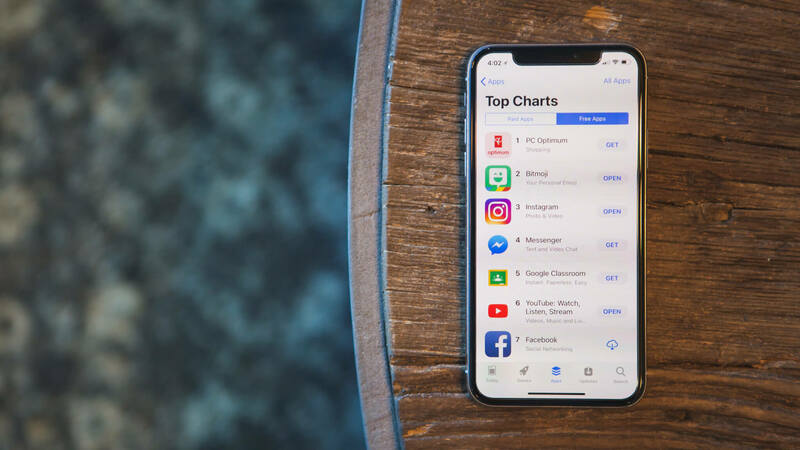 So, yes, people spend a ton of time on their smartphone apps, but that time is largely dedicated to the app giants – not the average church app. And this is what happens when the vast majority of the ‘app pie’ is gobbled up by the big guys. There’s only a tiny sliver of attention left for everyone else to fight over. The result? Tens of thousands of apps never get downloaded at all. We’re downloading fewer apps than ever. We’re using fewer apps than ever. These numbers point toward an important trend: mobile apps are beginning to decline. Ten years ago Apple announced the release of the iPhone and the App Store. Since that time, mobile apps have risen to being the single most important source of digital media in our lives. But that trend is beginning to curb. We’re downloading fewer apps than ever. We’re using fewer apps than ever. You might say that all the gold has already been discovered. The gold rush is over. According to comScore’s 2017 report, app discovery through the app stores, word-of-mouth, and advertising all saw a decline compared to their numbers in 2016. Within the demographic of 35+, only 1 in 4 individuals download new apps more often than they delete/uninstall old ones. And if that’s not bad enough, 51% of smartphone users download 0 new apps every single month. Because your church has an existing audience – your congregation – it’s very unlikely that your church would build an app and have nobody download it. Despite the discouraging facts listed above, there’s a reasonable expectation that your church could be an outlier. Fortune8 reported that 75% of people download an app, open it once, and never come back. Don’t rely on app download statistics. Who cares if someone downloads an app if they never actually use it? Because in most cases, data suggests that even though a person may download your app, it’s unlikely they’ll become an active user of it. If there’s one thing that mobile apps (even template-based ones) can do that your church website still cannot – it’s send push notifications. Sure, websites can send push notifications on desktop nowadays, but it’s not the same thing. And when it comes to template-based church apps, push notifications are the singular feature that exists that a template-based church website builder cannot replicate. When a church website does its job, it can do everything a mobile app can (and more) – except send push notifications. So, the question is this: is building a platform that costs your church $75-$200 each month worth it just for the push notifications? Remember: In my experience, churches that succeed with digital media make informed decisions based on data – they don’t just follow the trends blindly. What does the data tell us about push notifications in mobile apps? Spoiler alert: it’s not great. 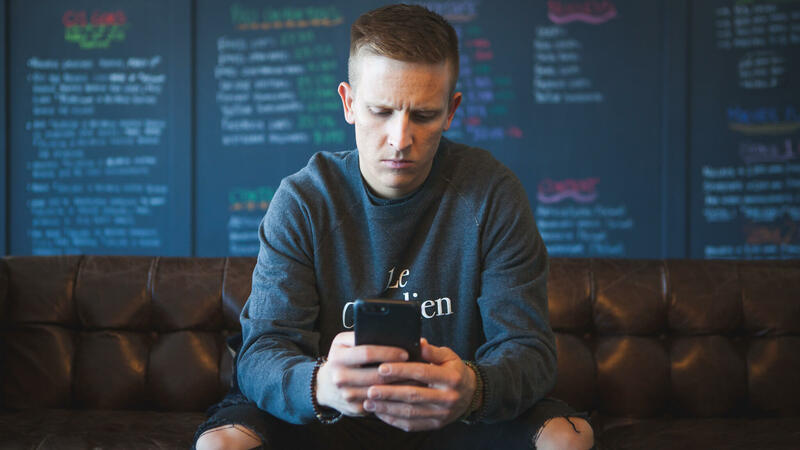 Simply put, I totally understand why your church would want to leverage the power of push notifications – even if only a few people in your church enable them! When used properly, push notifications can be incredibly powerful. But here’s the kicker: You don’t need to shell out $75-$200 each month for a church app to begin leveraging push notifications in your church. In fact, you can do it for free. Every single one of the most popular communication apps in the world (Text, Email, Facebook, YouTube, Facebook Messenger, Instagram, Snapchat) allows you to send push notifications to your contacts and followers – for free. And, as an added bonus, most people already have one or more of these apps installed on their mobile devices. They’re active users already! Simply ask your followers and contacts to turn on push notifications for your specific account in the social/communication app of your choice – and your church can begin sending push notifications instantly! For free! Every major messaging and communication app that exists allows you to send push notifications to your followers and contacts for free. You don’t need a mobile app to send push notifications. Not surprisingly, this generated a ton of backlash. Press releases were published. Church app companies scrambled to find solutions. The forums went crazy. People were freaking out – and rightfully so. Still not great. But much, much better. You might be wondering, how could Apple have the power to simply reject template-based apps? Simply put: their house; their rules. Now, I should note that I had phone conversations with a number of the large church app company providers, and they shared with me their plans to work around the new Apple App Store rules before the official revision was announced. And this should go without saying: Church app providers love churches! They love their customers and want to serve them as best as they possibly can. But when your platform is at the mercy of a monopoly-holding colossus like Apple, there’s only so much you can if they decide to one day change the rules. It simply means that having a website is still much more important than having an app. The audience share is bigger. And this doesn’t even take into account desktop audiences. Bottom line: Smartphone and desktop website audiences dwarf the app audience in sheer size. This is why a website is still far more important than an app. There are plenty of thoughts and data points to be mined through in this article. But making an investment in a church app is a big decision. And I want to make sure you have as much information as possible to help your church make the best decision you can. I’ve been working alongside churches for more than seven years helping navigate the biggest communication shift we’ve seen in 500 years. The vast majority of churches will not benefit from a mobile app. There are more affordable, efficient, and accessible platforms available.